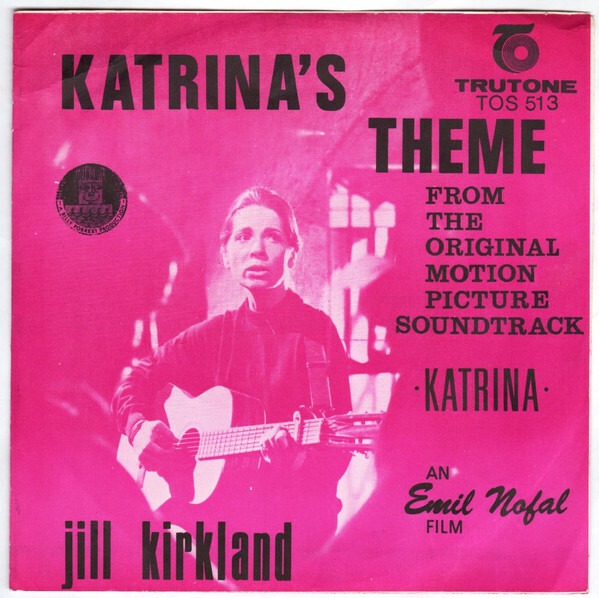 The Katrina in the title of this song was a character in a 1969 film of the same name which was directed by Jan Rautenbach and starred Jill Kirkland in the title role. It was a stark look at the effect apartheid had on people whose families were split as some were classified white while others classified coloured. Katrina is ostensibly white and trying to live a ‘white’ life of privilege but cannot escape her ‘coloured’ roots. The film is at times quite brutal as it explores its themes and was quite out of kilter with the mainstream thinking of the day. The theme tune which Katrina performs in the film, captures the mood. It is a sad piece, with a strong vocal trying to to disguise the fragileness of Katrina. There is a melancholic orchestra backing creating a haunting tune that teases with some warm, comforting sounds trying to break free from the sadness of the the song. Perhaps the line that sums up the character Katrina as well as the sound that Kirkland creates is the line ‘lost is the girl/lost is the girl’. This theme is the perfect compliment to the film. It is not a happy tune, it is poignant, sad and profoundly moving. Despite the film’s dig at the apartheid system, it obviously hit a note with the South African record buying public of the time as ‘Katrina’s Theme’ spent 6 weeks on the Springbok Top 20 and peaked at number 11.